Museum-house of Martiros Saryan is situated at Saryan street 12. The museum was opened in 1967, during the life of the Master, on the initiative of the Government of the Republic of Armenia. The museum is located in the building, adjoined to the house of the painter. Spiral staircase, located in the bay window, leads visitors to all three levels of the exposure. 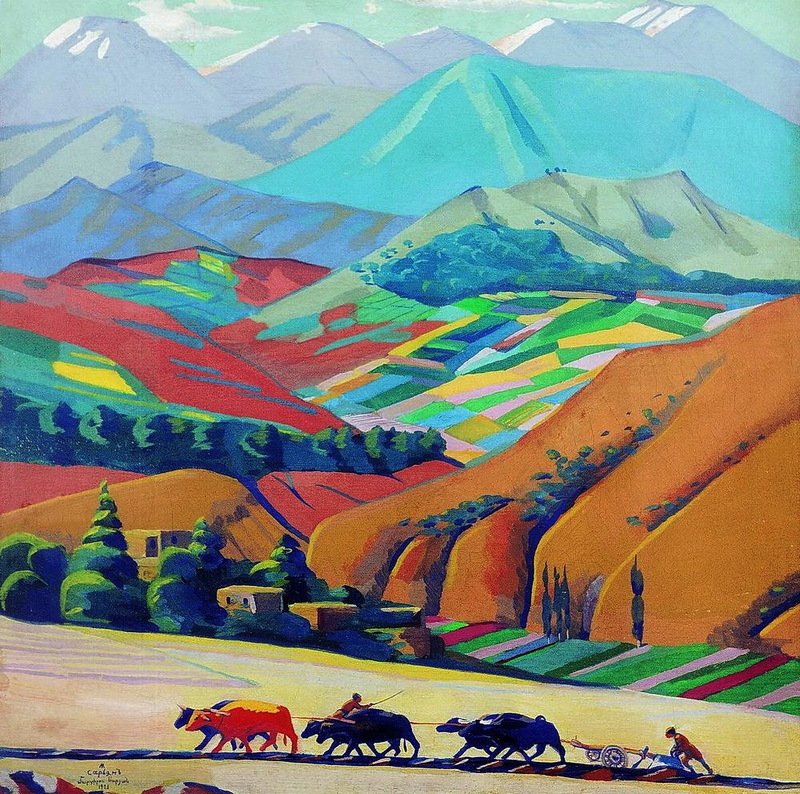 Basically it consisted of 50 works donated to the museum of Saryan. Subsequent replenishments of the collection allow now to view the works of all periods of the artist. The exhibition begins with the early works, here are shown series of “Tales and Dreams” (1904-1908). The first series of “Tales”, performed mostly in watercolors, is a poetic dialogue with nature. The following works of this series, executed in tempera, have expressive significance, thanks to the harmonious combination of contrasting colors. The brightest feature of these works became incandescent light, as if radiating from inside the canvas. This dominant light will pass through all the subsequent works of the painter. Also, there are presented works of the famous series – “Mountains”, “Armenia”, “Midday Silence”, “My Yard”, “Aragats”, “Yerevan”. One of the favorite themes of the painter were flowers, he always painted them, both in the days of sadness and in the days of joy. Saryan also worked in monumental painting and in the sphere of theatrical design. The artist brings to each of his works the most delicate shades of a mood, an intimate, lyrical mood in most cases. He composes cycles in which the meaning of the present and the eternal is philosophically explored. 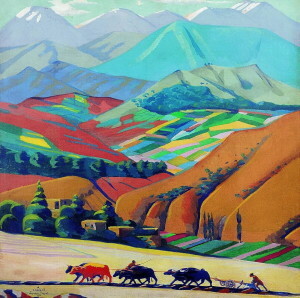 One such series consisting of seven landscapes, “My Homeland”. When viewing the paintings with flowers, you take them as a conversation between the artist and nature, the embodiment of confidence in the triumph of good. 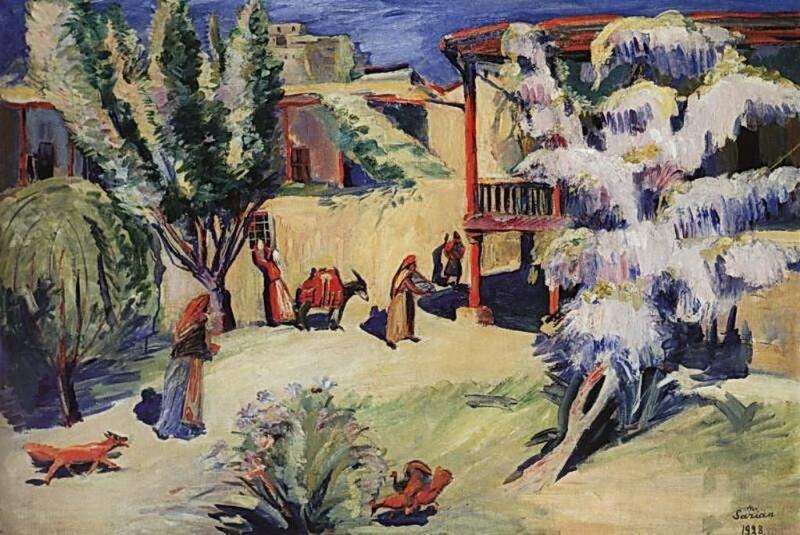 While Martiros Saryan was alive, he liked to talk to the visitors of the museum, attended chamber concerts, which took place in one of the halls. Now there are periodically arranged exhibitions of works by other painters in the museum.